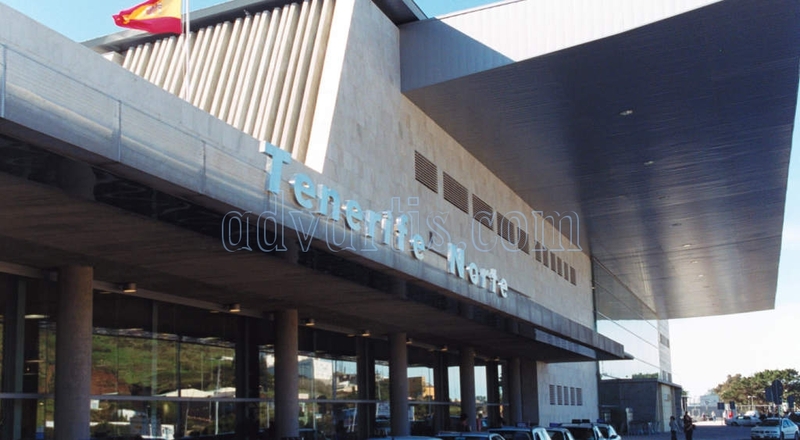 The General Directorate of Civil Aviation of the Ministry of Public Works has informed the mayor of La Laguna, José Alberto Díaz, that the necessary steps will be taken immediately to change the name of the Tenerife North airport (IATA: TFN, ICAO: GCXO) which will be renamed Tenerife Norte-Ciudad de La Laguna. The full City Council of La Laguna unanimously agreed last year to request the Ministry of Development change the name of the airport Tenerife Norte, replacing or adding the name of the city, reported today the City Council in a statement. On December 12, 2017 the general director of Civil Aviation, Raúl Medina Caballero, responded positively to this request, informing that the pertinent procedure is opened. First, Aena Sociedad Anónima will be informed of the start of the procedure, to evaluate its cost and to obtain the comments that may be appropriate. Next, an agreement will be signed between the La Laguna town council and Aena to articulate the bases of the change of denomination and, at the same time, a procedure of consultation will be carried out to the territorial administrations “more directly” affected. The Tenerife Norte airport began operating at the end of the 1920s and was initially the result of a request from the Lufthansa company to link Tenerife with Berlin through the Seville airport. The Cabildo de Tenerife prepared some land on a plateau that was relatively far from the center of the city. The first landing, on a still dirt track, occurred in 1929. By Royal Order of 1930 it was designated a national airport with the denomination of Los Rodeos airport, in 1943 the terminal begins to operate and in 1946 a decree qualifies it as a customs airport open to all types of national and international traffic. Although in the seventies it was renamed Tenerife Norte Airport, it is still popularly known as Los Rodeos Airport. Located to the north of the Island, in the municipality of San Cristobal de la Laguna, the airport is just 10 kilometres from the capital (Santa Cruz de Tenerife). Traffic is mainly of the scheduled domestic nature, about 40 percent of which are connecting flights to the other islands in the archipelago: Gran Canaria, La Palma, Lanzarote, Fuerteventura, El Hierro and La Gomera. Also connects via regular domestic traffic to other airports in the rest of Spain. The most important destination is Madrid with more than a million passengers, followed by Barcelona, Seville and Bilbao. In 2016, the airport processed 4,219,633 passengers, 55,669 flight operations and 12,427 tonnes of cargo.